If you are looking for a new roof for your home in North Kingstown, RI, look no further–at Classic Metal Roofs, LLC, we use only the best materials for our roofing systems and have three generations of expertise to match. Our aluminum options are available in the style of standing seam metal roofs as well as metal shingle roofs, using heavy-gauge aluminum that protects against the most severe weather conditions. Beyond aluminum, we also offer copper and zinc roofing systems which are popular for their beauty and performance. Like all of our roofing materials, the copper we use is manufactured from mostly recycled metal and is recyclable once again after its use. Copper is also naturally lightweight, reducing strain on your home’s structure in heavy snow conditions. Zinc is another of our alternative metal options; also recyclable, zinc requires less energy to mine, a benefit across the board. The low toxicity of the metal means fewer hazardous materials go into the construction of your household, and fewer chemicals are absorbed into the runoff rainwater from your roof and gutters. The lifespan of our copper and zinc is decades longer than conventional asphalt and other types of metal roofing materials like galvalume and steel. They also develop a natural patina, a defensive layer that resists corrosion and abrasive damage. All of our products last close to 100 years with little to no maintenance required, while boosting the energy efficiency of your home and reducing waste in the environment. Because we are so confident in our team and our products, every residential project is also covered by our limited lifetime warranty. Contact us at (866) 303-2002 or fill out the form on our website to get a free estimate for your North Kingstown, RI home today! 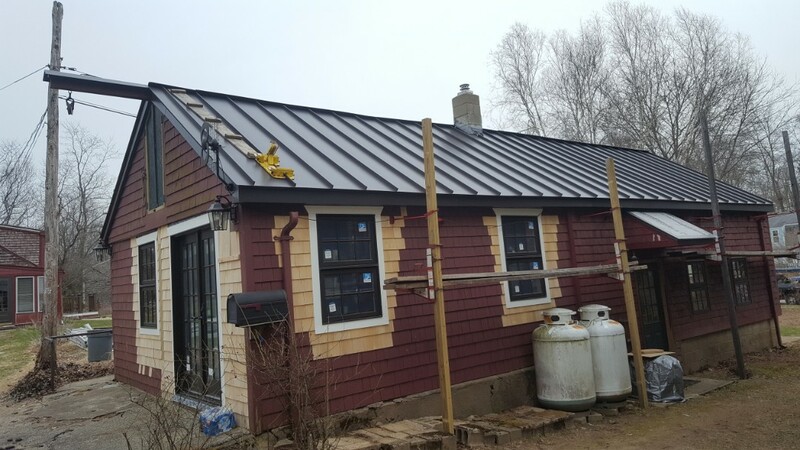 Aluminum standing seam metal roof in North Kingston Rhode Island complete. 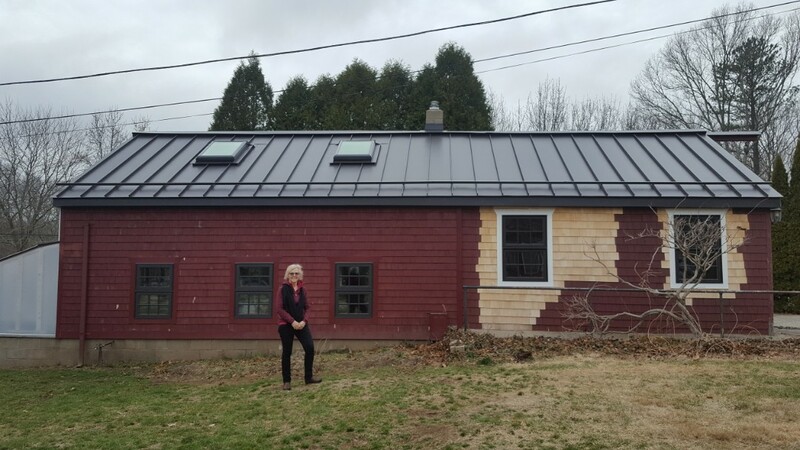 Standing seam aluminum metal roof in North Kingston Rhode Island.